The Yongquan Martial Arts Association practices a form of long range 'external' boxing called Choy Lee Fut. Choy Lee Fut originated from the Shaolin system and was created as an individual style by Chan Heung, who learned his art from three masters: Chan Yuen-Wu, Lee Yau-Shan and the monk Choy Fook. Chan Heung called his art Choy Lee Fut to commemorate his teachers and the Buddhist origin of the art (Fut means Buddha in Cantonese) and it is commonly known as Hung Hsing Choy Lee Fut. The particular style of Choy Lee Fut practiced in Yongquan classes is known as Bak Hsing, or Northern style, Choy Lee Fut. Although primarily thought of as a Southern art, Tam Sam, the Bak Hsing founder, taught out of Siu Bak in the Northern province of Guangzhou. Tam Sam was an accomplished boxer before he came to study Choy Lee Fut but after a 'friendly' match with a Hung Hsing Choy Lee Fut practitioner, in which Tam Sam was clearly beaten, he decided to study under the victor's master, Liu Chan. Tam Sam trained for many years but he was something of an innovator and went on to modify the teachings of his master to the point where he had created a radically different approach to the application of Choy Lee Fut technique. Feeling that his new approach was superior to the traditional method Tam Sam arranged for challenge bouts with Liu Chan's senior students, including the man who had bested him many years before, to demonstrate the efficacy of his art and very quickly defeated them all. Versions of events vary after this; some say that Liu Chan was so angry that he challenged Tam Sam himself and was also beaten, others that he simply dismissed Tam Sam as a student for not following the traditional Hung Hsing method. Whichever story is true Tam Sam left Liu Chan's school and moved to Siu Bak where he began teaching his new system as Bak Hsing Choy Lee Fut. Tam Sam was a contemporary of Ku Yue-Chang and both men had a deep respect for one another, so much so that they arranged to exchange students and Leung Tse-Cheung was sent to Tam Sam's school to learn the art. Leung Tse-Cheung spent several years learning from Tam Sam before returning to Ku Yue-Chang. 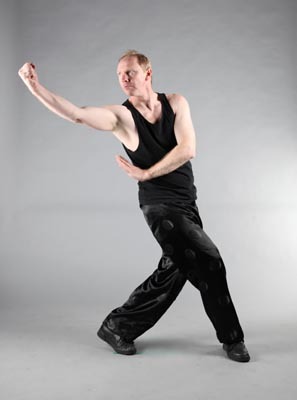 Bak Hsing Choy Lee Fut is characterised by its flowing, flexible movements and the increased turn of the body used in the postures and execution of techniques, generating easy power from the turning movement and momentum of the opposite hand to the one which is striking. Slip attacking and the destabilising effect of blocking techniques on the opponent are trademarks of the Bak Hsing style.